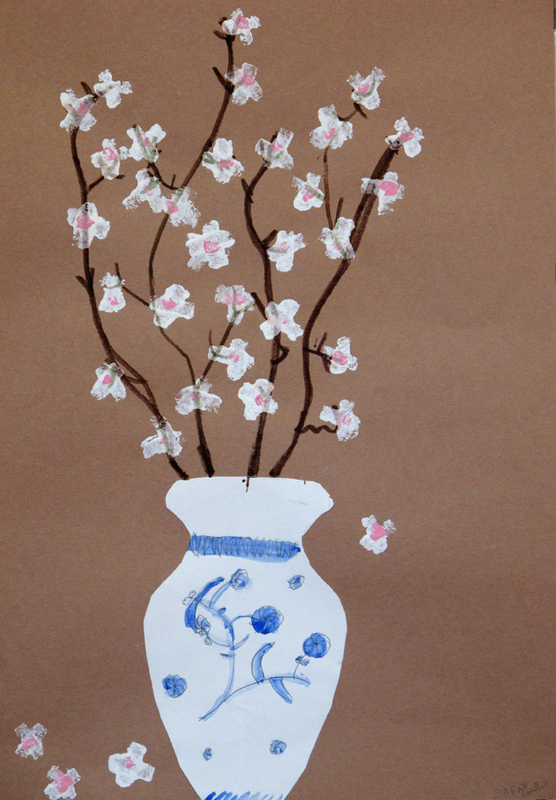 We're taking our inspiration for this project from China and Japan. 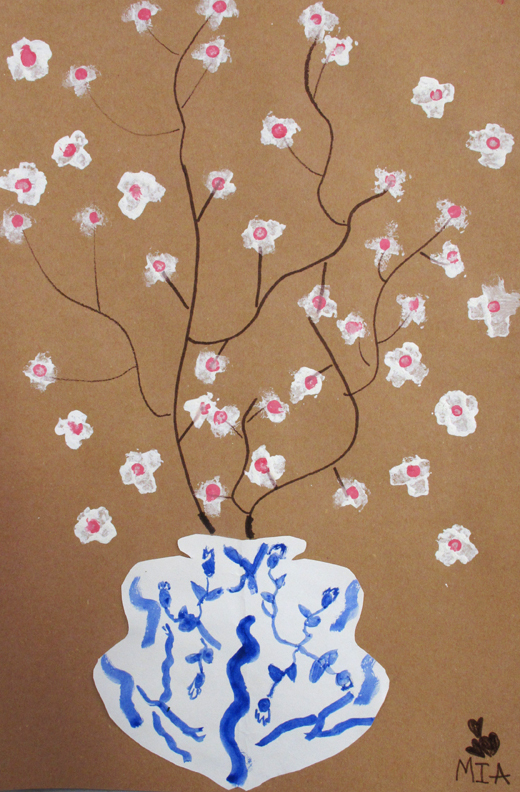 We talk about the symbolic significance of cherry blossoms to Japanese culture and how Japan made a gift of these trees to the United States in 1912. We also look at images of porcelain Ming vases from China, paying attention to their intricate designs and variety of shapes. 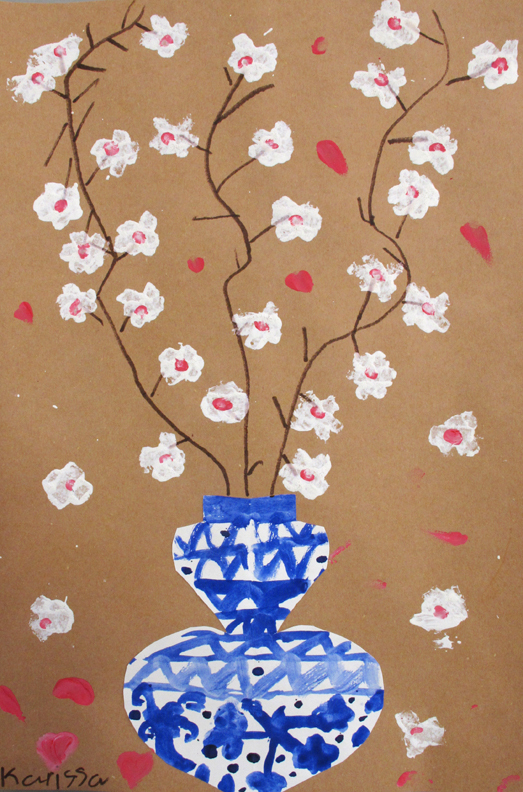 Students then draw half of a vase on folded paper -- learning a little about symmetry as they do -- and cut out their vase shape. 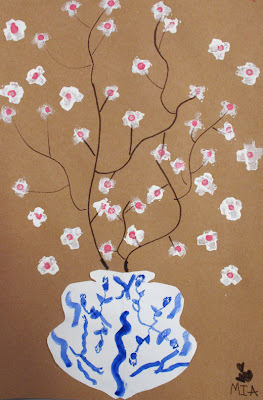 They then draw details on these and go over their designs with blue tempura paint and fine brushes. 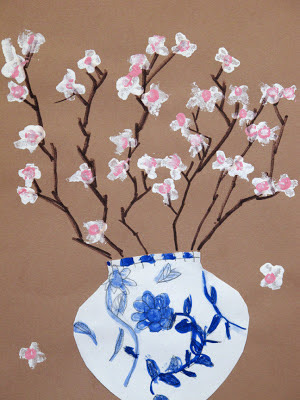 On the second day, they glue their vases to a neutral construction paper background and add cherry tree branches with brown marker. 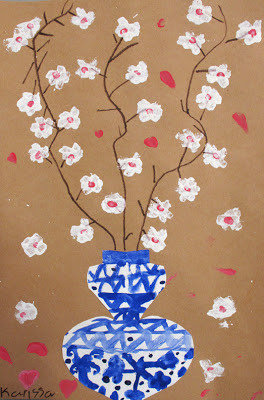 Then, using tiny pieces of sponge and red and white acrylic paint, they create their blossoms.